Strikeforce added the Keith Berry vs Gian Villante fight on August's 'Gurgel vs Duarte' card. 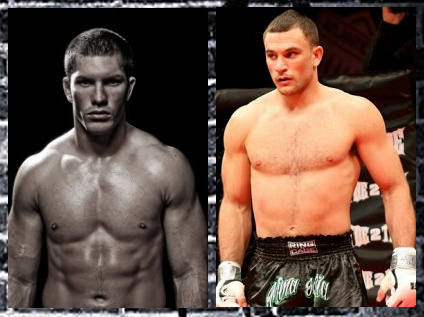 The bout between Gian Villante and Keith Berry is now added on the “Strikeforce Challengers 18: Gurgel vs Duarte” event. The two MMA fighters seem quite ready for their upcoming match, and each of them are looking forward to having a first win under the promotion. The Strikeforce Challengers 18 – which also highlights the lightweight face-off between Jorge Gurgel and Joe Duarte – will be held on August at The Pearl at the Palms Casino Resort in Las Vegas, and will be aired on Showtime. Striking specialist Keith Berry’s first match under the Strikeforce last June turned out to be a disaster, as he obtained a technical-submission loss from Trevor Smith during the Strikeforce Challengers 16. That would be his second-consecutive loss. Keith Berry started fighting since 2005, and during that period he conquered several victories — some of which are his eight first-round wins. His four recent wins were totalled 91 seconds of competition. On the other hand, two-time Strikeforce veteran – Gian Villante – takes pride in having six first-round victories in all of his nine wins. Unfortunately, this fighter who started with a record of 6-0, is now spurned to 1-3. Strikeforce did not yet announced if whether the said bout will be included on the evening’s main card or not.